The 24th Southeast Asian Games (also known as SEA Games) will be held in Nakhon Ratchasima, Thailand from December 6 to December 16, 2007. However, There are five sports that start before the opening ceremony at December 6,2007. See the complete schedual. Today, at this moment, we rank number 1, got 7 gold. 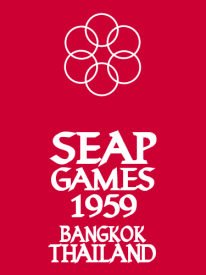 The Southeast Asian Games owes its origins to the Southeast Asian Peninsular Games or SEAP Games. The 1st Southeast Asian Peninsular Games were held in Bangkok, Thailand from 12 December – 17 December 1959, Opened by our King, His Majesty King Bhumibol Adulyadej of Thailand, the Great. Also known as King Rama IX. It would be the sixth time Thailand has hosted the SEA Games. Thailand had hosted the 1959, 1967, 1975, 1985,1995. And also the 24th Sea Games on Korat, Thailand, 2007 is the second games that held out side the capital city for each country. Thailand win the most gold medals nine times as same as Indonesia. However,I think we will win Indonesia in this instance. OK, let see the history of Medals count for each games. Host nation highlighted. So tired to make it done…it’s me. And thanks Wikipedia a lot, the The Free Encyclopedia on Internet, for the information. This entry was posted on November 29, 2007 at 1:18 pm and is filed under Uncategorized. You can follow any responses to this entry through the RSS 2.0 feed. You can leave a response, or trackback from your own site. Don’t sorry, It’s just a game.